One of the first things a potential real estate agent learns in class is that real estate is about Highest and Best Use. You can see that happening in Overland Park, Kansas right now in this story in today’s Kansas City Star. Most people do not like change. Me? I love it when our cities become better utilized. Bringing life to communities through proper zoning and use creates a better living experience and uses our resources (land, gas, utilities, infrastructure) in a more economical way. Mixing living quarters with offices and retail allows a building and all its infrastructure to be utilized 24 hours a day, rather than 9 or 10. An added benefit is that residents don’t necessarily have to get in a car and drive a mile just to get our of their subdivision and then another mile, or two or three, to their destination for a gallon of milk or a quick meal. Anyone remember downtown Kansas City in the 1970’s and 1980’s and well in to the late 1990’s? It was a concrete ghost-land after 5:30 pm before apartments and lofts began to trickle in. Later that trickle became a tsunami. This is the reality of our cities across America. And I for one am all for it. Real estate investment gurus love to talk in terms of “no guarantees”, pro formas and about deals from 10+ years ago. But I want to give you an Investment Property Case Study from right here in the Kansas City real estate investing universe. The following is real though I will not give addresses or client names, etc. Not only is it real, it’s still going on right now. In 2011 I had two fund managers from the Los Angeles area of California come meet with me about investing in rental property here in Kansas City. They wanted returns formulated on rents being two times investment. That is to say they wanted an all in price (purchase, closings costs, rehab) to be $40,000 if the rents were $800/mo. Easier said than done in any neighborhood you’d actually want to live in. So I took them out and showed them around. Then I sat with them and asked me to make it more of a 1.6 ratio or 1.7 to get in to better neighborhoods with better houses and better schools. After showing them what I could do, I went to work. 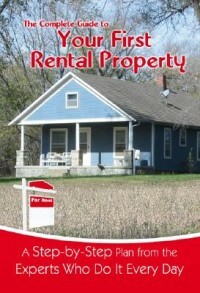 From May of 2011 to March of 2013 we acquired 56 rental properties. Most were in 2011-2012 when the market was just waking up from it’s downfall in 2008-2010. What would these numbers show if we had started acquiring in 2009!!!????!!! Most of the properties were 3 bedrooms with 1-2 baths. All were in Missouri in Kansas City, Raytown, Independence, Grandview, Gladstone, etc. After the closing we would set to work rehabbing to rental standards. Then rent at or slightly below market as quickly as possible. With this strategy we’ve been able to hold these properties to about 6% vacancy. All investment properties were paid for with cash. I’m not going to break down everything. Not for this post. But most of the expenses listed below were generated in the first 30-40 days after purchase…during the rehab portion of the property life. The rest of the expenses have been since they have been generating income with tenants in them. Expenses include repairs, rehabs, insurance, management, utilities when vacant…literally everything except taxes, which will add up. The income has been generated from the first tenant through to today. Here you go. This is why owning rental property is a great investment. The current value is based on comps with minimal additional repairs/improvements to the income property. The cost of sales would have to come off the value including but not limited to repairs for inspection requirements, realtor fees, closing costs including title fees, etc. Figure about 12% -15% cost of sales with all that in mind. Now there are differing ways to calculate your returns and I’m not going to go in to details because of the spread of months between the first and last purchase, time line of the repairs, etc. But no matter how you look at it the real estate investors that came to Kansas City have come out okay. Fusing these two sets of results is my favorite way to look at it. Now, you may not have $3M to invest. Neither do I. But you can do one house. Or two. Get started today. Your retirement will thank you later. If you have any questions about investing in real estate here in the Kansas City area, please, do not hesitate to contact Chris Lengquist at 913-568-1579. Just thought I’d give you a short post so that you can follow this link regarding downtown Kansas City real estate development. Back in 2008 I was leery and shying people away from downtown KC loft purchases as investment. But six years later, while there has been no Big Bang (so to speak), KC’s commitment to downtown residences has been solid. We now manage more than a few places downtown and are looking to manage more investment property in downtown Kansas City. Follow the link and read up. Kansas City is a wildly diversified city, economically speaking. I have written in the past about the differences between Kansas and Missouri. And it’s worth the read if you are not familiar with the area. But time and time again I need to let out of state investors know that there is and should be an expectations difference when it comes to investing in real estate in either Kansas City, Missouri and it’s Missouri suburbs or the suburbs on the Kansas side. Missouri real estate investors should expect slightly lower entry points, price wise, for the comparable properties on the Kansas side as well as a little higher cash flow, cash on cash returns, etc. But appreciation on the MO side usually lags behind the Kansas side. The Kansas side usually has a little higher prices and the returns are slightly lower on the cash flow side. But in general, it is EXPECTED that you’ll have great appreciable growth as time goes on. School districts. The Kansas side has the better schools, by in large. Especially in Johnson County, Kansas. Lee’s Summit and Blue Springs on the Missouri side are pretty darned good, too, and therefore their prices are a little higher and returns a little lower when you compare them to other Kansas City, MO suburbs. What return do you expect? What kind of house (multi family, single family, ranch, etc) do you want? What kind of tenant are you after? What price point are you looking to be in? Cash flow or appreciation? A mix of both? For most of the last 150 years the migration from the Kansas City to California has been mostly one way. Out of Kansas City. People. Money. Talent. Whatever, it left KC and headed to LA. But as real estate investors come back in to the market I have noticed an influx of 1031 tax deferred exchange money coming from the Los Angeles and San Diego areas to Kansas City. Why? So far this year I’ve closed over $3,000,000 in real estate here in the Kansas City area on the downside of the 1031 exchange. I’m advising another local area agent as she helps another CA ex-patriot move himself and his assets from the sunshine state to the more stable and affordable rental property world of the Kansas City area. We’ve helped these two (and other investors) acquire rental assets on both sides of our state line here…sometimes a tricky proposition. If you are tired of the low returns or high prices of the California real estate market, especially for real estate investors, you may want to carve out half an hour to talk to me about the Kansas City area and what is available to you here in our market. Maybe not all of your assets should head this way. But I’ll betcha a good portion of your rental assets here can outperform some or your California based assets, whether it be LA, SD or SF. LOS ANGELES — Sales of bank-owned homes have plunged to a 5-year low, the latest evidence that the nation’s foreclosure woes are easing as the U.S. housing market recovery gains momentum. I started noticing this last fall, say October? But by January it was a full on free fall in the availability and affordability (at least for real estate investors) of bank owned homes. You can definitely count Kansas City in this article.